Treasured for generations, these three historic properties have proved to be perfect family homes. People love the idea of a house that has been cherished and enjoyed by successive generations of the same family—especially one that hasn’t been ‘butchered’ in one of those drastic country-house makeovers that we’ve seen so many of in recent years, says Claire Whitfield of Strutt & Parker in Harrogate, who is handling the sale of timeless Lowbridge House (Fig 1) at Selside, near Kendal, Cumbria, home to the Fothergill family since 1761. 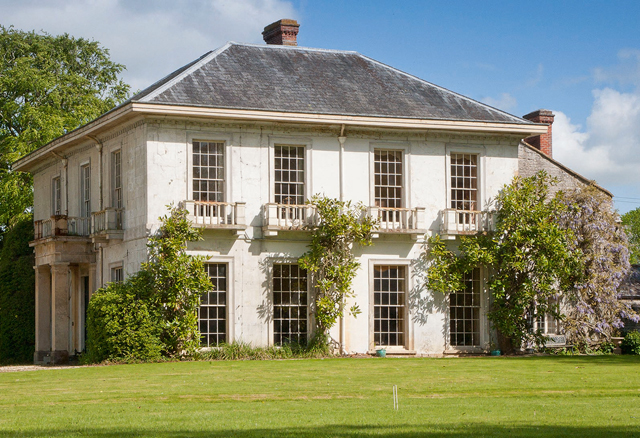 Strutt & Parker (01423 706786) quote a guide price of £3.25 million for the house and its 1,927-acre estate, which has never before been seen on the open market. Between 1833 and 1837, Richard Fothergill designed and rebuilt Lowbridge House in the romantic cottage ornée style, adding a lodge and a new drive and planting extensive woodland. Appropriately for a house located at the heart of the Lake District National Park, he also created the picturesque lake and boathouse in front of the house. With the bit now firmly between his teeth, Fothergill went on to extend the house with the addition of a billiards room and more bedrooms, at the same time converting the old bank barn into a north wing to house staff and guests in the busy shooting season. The sporting rights to the estate are included in the sale. 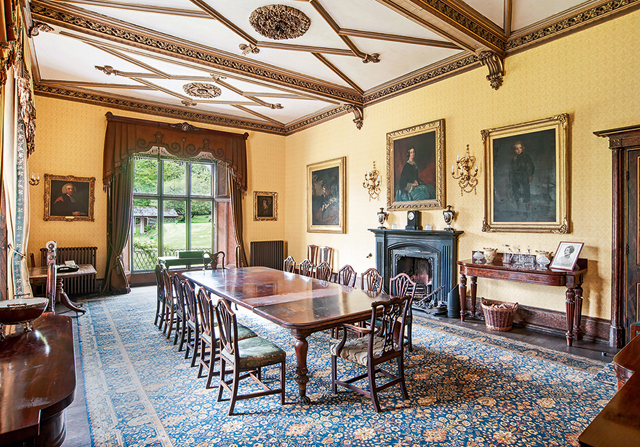 Fig 1a: Lowbridge House boasts a range of impressive formal rooms. £3.25m. In 1845, Fothergill bought Dry Howe and Bannisdale Head farms—1,888 acres in all—in the valley to the north of the house and built a road connecting them to Lowbridge, thus forming the present Lowbridge estate. Dry Howe Farm is currently let on a first-succession Agricultural Holdings Act 1986 tenancy, at a rent of £12,500 per annum. The farm is ring-fenced and comprises mainly the south-western side of Bannisdale, opening out at the northern end to include most of Bannisdale Fell. Finally, in 1884, Fothergill celebrated his wedding anniversary by building a clay court and a ‘tennis house’, a pretty building lined with commemorative family plaques that has been maintained and renovated by his successors. With some 17,750sq ft of living space—including the substantial north wing, which is currently unused, but has, the agents say, ‘very significant scope to be brought back into use’— Lowbridge House, which is unlisted, offers plenty of room for manoeuvre, with its distinctive blend of impressive formal rooms, modern family rooms and seven bedrooms. The comfortable two-bedroom lodge at the entrance to the parkland is currently let on an Assured Shorthold Tenancy at £475 per calendar month. Fig 2: The Hyde is near the pretty village of Hambleden on the Oxfordshire/ Buckinghamshire border. £5.75m. Another house that has grown old gracefully with its long-term owners, is wonderfully secluded The Hyde (Fig 2) at Hambleden, on the Buckinghamshire-Oxfordshire borders. For sale through the Henley-on-Thames office of Knight Frank (01491 844900) and local agents Peers & Hilton (01491 411066), at a guide price of £5.75m, The Hyde, listed Grade II, sits in a magical setting on the eastern slopes of the Hambleden Valley, about a mile from Hambleden village and 61⁄2 miles from Henley-on-Thames. With its quintessentially English brick-and-flint cottages and houses that have provided the backdrop to many a popular film and TV series, unspoilt Hambleden is one of the prettiest and most heavily protected villages in the Chilterns—a protection shared by The Hyde, although the house was never part of the for‘mer W. H. Smith-owned Hambleden estate. Built mainly of brick and flint under a tiled roof, The Hyde, which dates from the late 17th century with early- and late-20th-century additions, was bought in 1921 by Maj George Howson, who was awarded an MC for bravery at Passchendaele in July, 1917. In September 1918, Howson married Jessie Gibson, whose father owned the Australian department-store chain Foy & Gibson. William Gibson died two months later, in November 1918, leaving the young couple extremely well off. Maj Howson retired from the army in 1920 and, that same year, founded the Disabled Society with Jack Cohen MP. Starting with a workforce of five disabled former servicemen making poppies, Howson created the Poppy Factory, which eventually moved to its current premises in Richmond-upon-Thames, bought using money donated by him. Howson also instituted the Field of Remembrance at Westminster Abbey in 1928. He died in 1936, leaving The Hyde to his wife, who, in turn, left it to their daughter, Jane, who lived there until her death some two years ago. Set in almost six acres of gardens and grounds The Hyde has changed little internally during the Howson family’s tenure and, although the fabric of the building has been maintained over the years, it now needs updating and modernising. The pleasantly rambling ground-floor accommodation comprises an entrance hall, a library/ reception hall, a garden room, a draw- ing room, a kitchen/breakfast room, a sitting room and a dining room; the first floor houses a master bedroom and bathroom, six further bedrooms and three bathrooms. Given The Hyde’s peerless setting, the result of a sympathetic renovation could be ‘truly spectacular’, says Knight Frank’s Nicholas Brown. The grounds are a mix of lawned and formal gardens, with hedging and mature trees throughout. Beautiful beech woods to the rear of the house overlook a paddock with old timber stables—the perfect site for a new stable yard and manège. There is also a tennis court and a range of outbuildings that includes a garage building with a first-floor studio that could be converted to an art studio or additional accommodation, subject to the usual planning consents. Owned by the Anderson family since 1936, ‘potential’ is probably the word that best expresses the appeal of the four-square Georgian Limington House (Fig 3), at Limington, near Yeovil, Somerset, which has been launched on the market through Strutt & Parker in Salisbury (01722 328741) at a guide price of £2.2m. Built in the late 1600s with Georgian extensions and, according to its listing, ‘apparently remodelled in the early 20th century’, Limington House, listed Grade II, is a substantial country house set in 16 acres of land on the edge of this charming Somerset village, where Thomas Wolsey was rector before becoming a cardinal during Henry VIII’s reign. The house, which needs modernising throughout, stands in a secluded, slightly elevated position, with wonderful views over the surrounding countryside. Four light and airy main reception rooms in the main Georgian part of the house boast the period’s much-favoured high ceilings and fine proportions. The first-floor bedrooms —including the large master bedroom, five further bedrooms and two bathrooms—are also flooded with light. In contrast, the older rear part of the house has lower ceilings, exposed beams and stone mullioned windows. Also in need of attention are the four-bedroom lodge at the end of the drive, a two-bedroom cottage and various outbuildings with plenty of room for improvement.